Graphic Plc are delighted to have been announced the winner of the Made in the South West Manufacturer of the Year (under £25m). Against strong competition, Graphic impressed the judges with the scale of its growth. South West Business Insider editor David Clensy championed the region's manufacturing prowess and achievements. "The South West has one of the largest concentrations of high value manufacturers in the UK," he said. "We should be proud of our manufacturing and advanced engineering community – from the great food and drink brands to the cutting-edge aerospace and defence companies driving innovation in the region." He continued, ‘The company has achieved sustained growth over the past 5 years. We have robustly increased turnover and profit year on year, whilst continuing to invest in new machinery, technology and additional capability, to meet the current and future needs of our customers. Graphic was formed on 21st June 1968 by Rex Rozario OBE. Rex worked with Dr Paul Eisler, the inventor of the Printed Circuit Board, at Technograph-Telegraph in the 1950’s. In 1972 Rex moved the factory to Crediton and operated from a number of buildings on the Lords Meadow Industrial Estate. In 1993 Graphic moved into a 50,000 sq ft. purpose built facility. In 2001 the company completed a 10,000 sq ft. extension to the factory which was opened by HRH the Princess Royal. Over the years Graphic has amassed many national and international quality approvals for its products and has achieved many accolades including Investors in People, Business Excellence awards and many customer performance awards year on year. In 1999 Graphic became the first PCB Company to achieve the environmental ISO14001 standard. In 2007 Graphic set up a new manufacturing venture with Somacis in China (Dongguan Somacis Graphic PCB Company) based on demanding technologies, reliability and high performance; this venture has achieved exceptional growth. 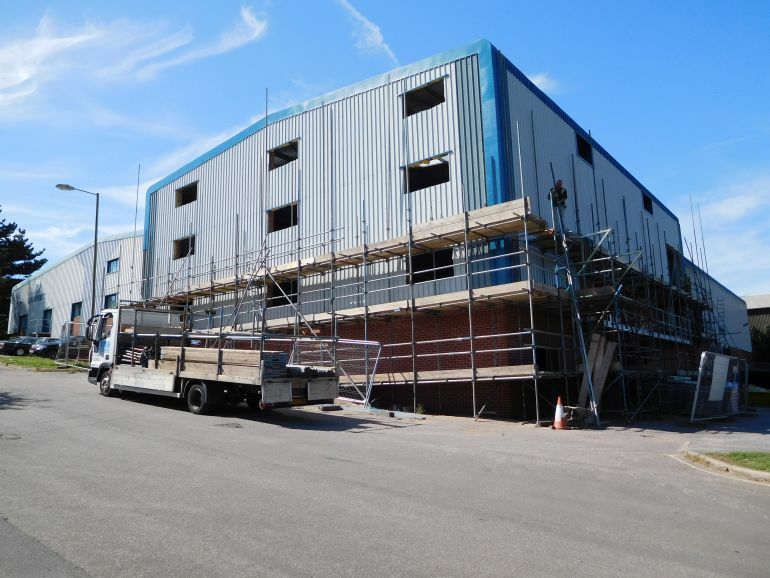 A further 18,000 sq ft. extension to the Crediton facility was added in 2017, to increase the manufacturing capacity by 20% to meet increased demand. 70% of the workforce has been with the company for over 10 years, with the Directors averaging over 35 years; collectively with the workforce have a wealth of knowledge and experience to benefit all our customers. 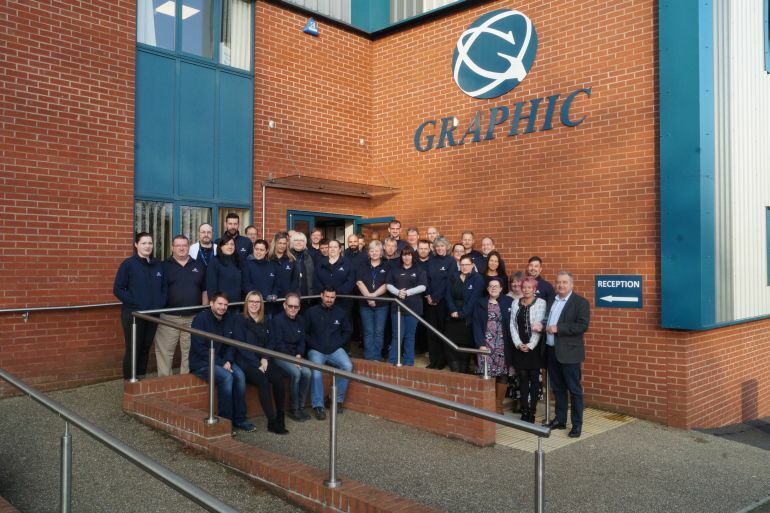 In 2016 Graphic Plc was acquired by the Fine PCB Group and continues to go from strength to strength, under the leadership of its original Directors. Graphic Plc is one of the largest European manufacturer of time-critical and technologically complex HDI, Flex and Flex-Rigid printed circuit boards (PCB). Graphic Plc's products are used in a range of complex electronics applications in markets such as defence, aerospace, industrial, space, medical and Formula 1. The Company offers the UK. 's most comprehensive set of technical expertise and capability across a wide range of substrate materials, thermal management, and design for manufacturing, resulting in products of the highest quality and reliability delivered within time critical lead times. 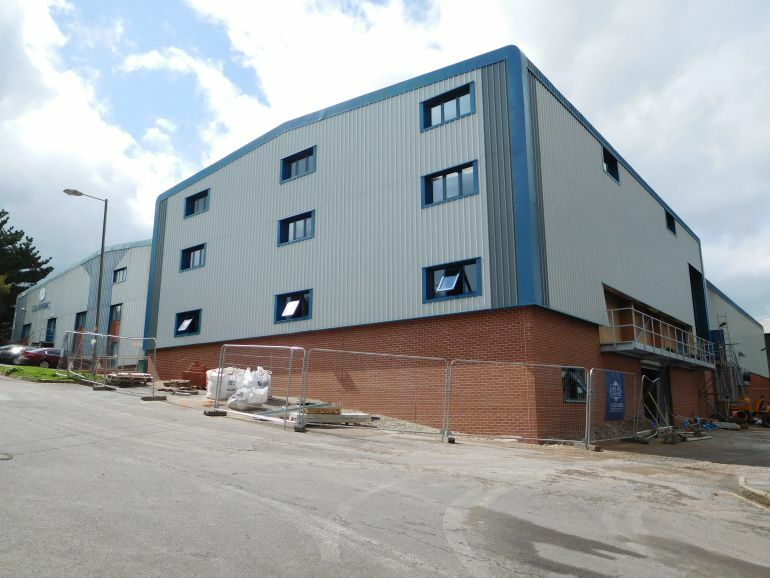 The external cladding is almost finished. 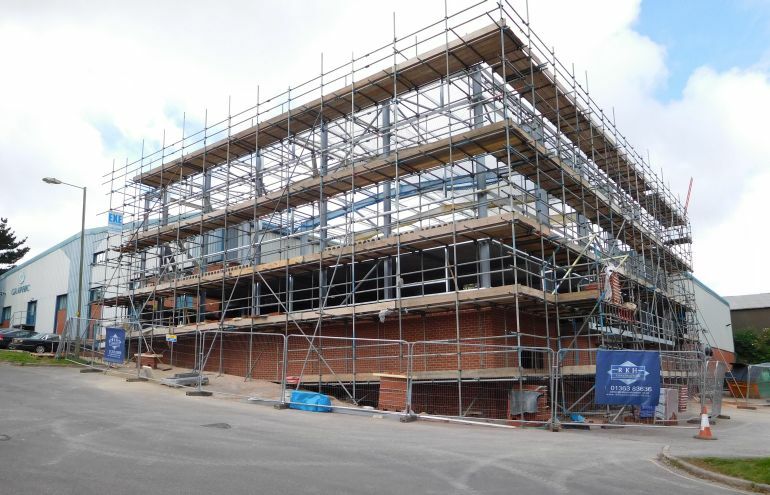 The brick and block work are progressing and the scaffolding is up, ready for the external cladding to be installed. The concrete floors and the framework for the roof have been installed on the new extension. 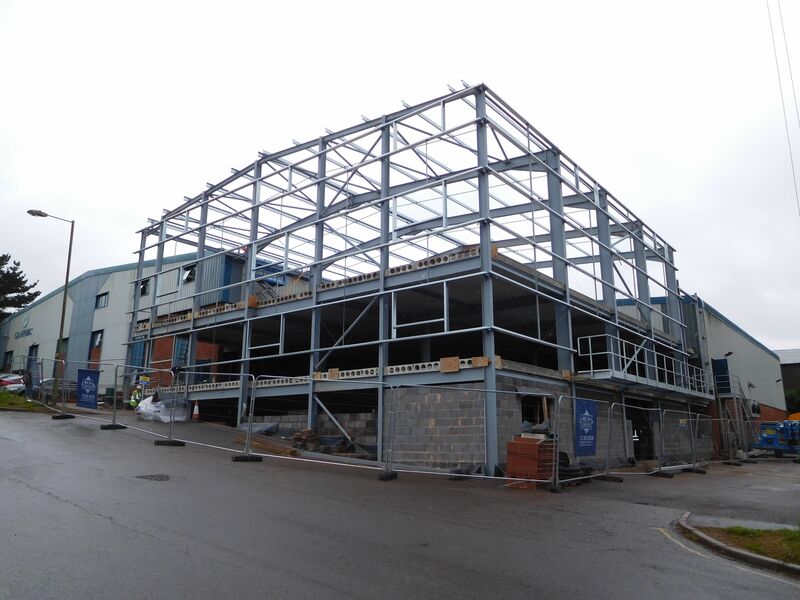 The main steel frame of our 17,000 sq ft extension has been erected. 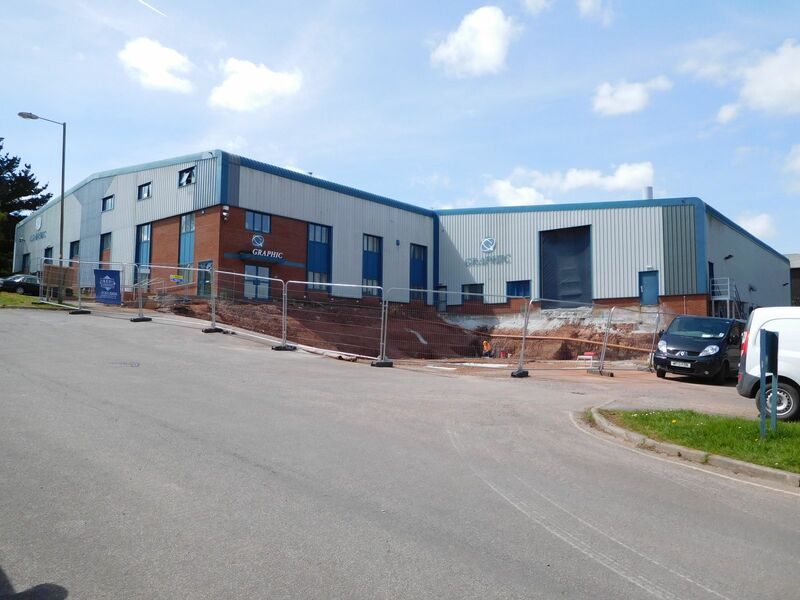 Building work has commenced on the 17,000 sq ft extension at our facility in Crediton, Devon. The site for our three story extension has been dug out in preparation for the steel frame to be erected. Over 150 business people celebrated the achievements of both individuals and businesses at the Excellence in Business Training Awards 2016, hosted by Cornwall College Businesses. Up against strong competition, Graphic PLC is proud to announce that Helen Tribel won the Individual Achievement category and Graphic PLC was runner up in the Training Programme of the Year category. The awards recognise exceptional training and development in organisations across the South West; celebrating companies that develop their staff through training and have as a result seen exceptional business success. Based in Crediton, Devon, UK, Graphic PLC is the largest UK owned manufacturer of time-Critical and technologically complex High Density Interconnect, Flex and Flex-Rigid printed circuit boards in the UK, and one of the largest Printed Circuit Board manufacturers of this type in Europe. 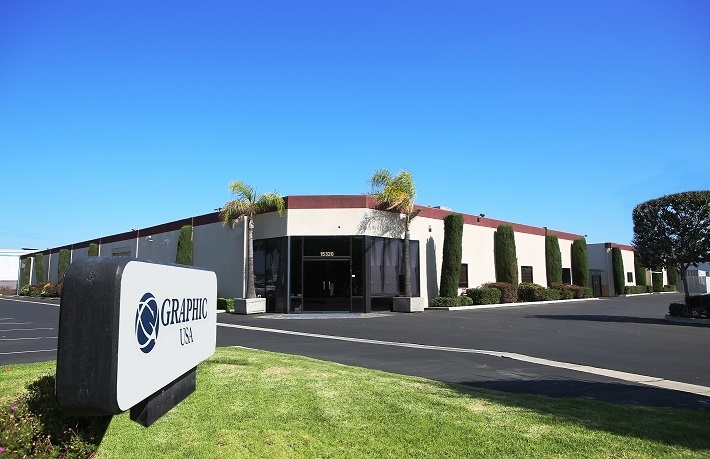 With facilities also in the US and China, the Graphic group can provide Design for Manufacture, prototype and volume, all with exceptional service. Graphic PLC’s products are used in a range of complex electronic applications in markets such as defence, aerospace, industrial, medical and transportation. The Company offers the UK’s most comprehensive set of technical expertise and Helen is proud to use her skills and expertise to make a difference towards the continuing success of Graphic PLC. Amarjit Basi, CEO of The Cornwall College Group, said: “The standard of nominations this year was exceptional. The winners deserve particular praise for being recognised as the best in their category”. 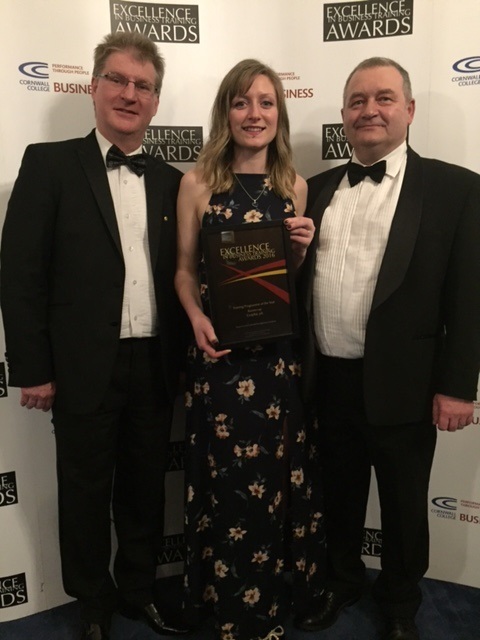 It is a great achievement for Graphic PLC to have been runner up for the Training Programme of the Year and for Helen to be a winner for the Individual Achievement category. The awards recognise Helen’s hard work and achievements in introducing the Job Instruction programme into Graphic PLC. L to R: Alan Good, Training & Development Manager, Helen Triebel, Winner of the Individual Achievement Award and David Pike, Group Managing Director. Graphic Plc based in Devon England has been awarded 'Gold Supplier status' from one of its major customers, BAE Systems. The award recognises continued commitment and support to BAE systems programmes and key business objectives. The award reflects Graphic Plc's achievements in demonstrating sustained excellence in delivery and quality performance. This is the third such award in as many months from major OEM's for performance in providing high reliability HDI PCB's at the highest levels of quality and delivery. Trevor Sanders - Sales and Marketing Director said "We are delighted that our performance has been recognised by three major OEM's and we will continue to work with our customers to raise the bar when it comes to meeting customer expectations. The award is also a recognition for all our employee's hard work in achieving these consistent performance levels." Based in Crediton, Devon, U.K., Graphic Plc is the largest UK owned manufacturer of time-critical and technologically complex HDI, Flex and Flex-Rigid printed circuit boards (PCB) in the U.K., and one of the largest PCB manufacturers of this type in Europe. With facilities also in the US and China, the Graphic Group can provide DFM - Prototype - Volume - all with exceptional customer service. Graphic Plc's products are used in a range of complex electronics applications in markets such as defence, aerospace, industrial, medical and transportation. It gives me great pleasure to announce that Graphic PLC has been awarded full planning permission to extend its manufacturing facility in Crediton, Devon by 17,000 sq ft by Mid Devon District Council. Graphic Plc and its agent have placed tenders and are intending to appoint contractor’s to start work at the beginning of Spring 2016. 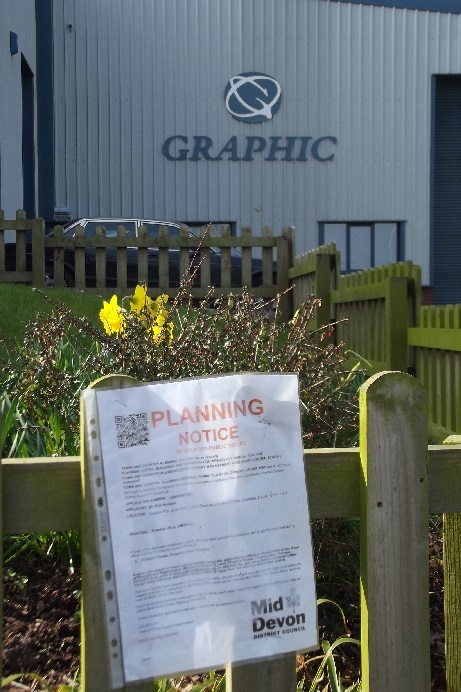 Graphic Plc has submitted a planning application to extend its Head Office manufacturing facility in Crediton, Devon by 17,000 sq ft. 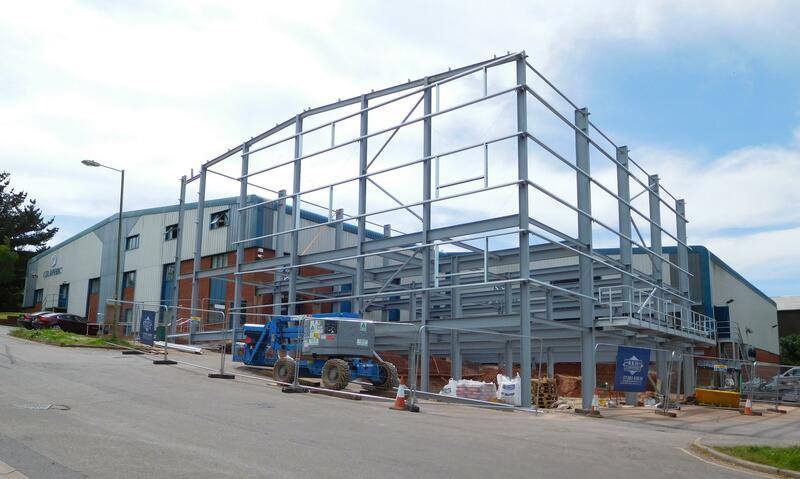 The additional floor space will enable Graphic to extend and improve its manufacturing activities, with the introduction of new machinery and processes, and will see the company increase its UK based workforce. Once permission has been granted it is expected that the extension will be built and operational by Spring 2017. One of the world's most technically competent manufacturers in the global high technology PCB industry, Graphic PLC manufactures a wide range of highly advanced PCBs for its demanding, high reliability markets. These include the defence and aerospace sectors, as well as advanced medical and industrial marketplaces. Following extensive tests on a number of alternatives that would support its quoting and engineering needs, Graphic selected Ucamco's Integr8tor system for the quality, stability, reliability and accuracy of its results, and for its compatibility with Graphic’s existing Orbotech systems environment. With the open, flexible support of Adeon and Ucamco, Graphics can now automatically and fully analyse client data with unprecedented speed. Integr8tor has freed up at least one engineer from the quoting process, and is being integrated across Graphics' pre-production processes to enable well-analysed, clear data to flow seamlessly throughout the business, increasing efficiencies and reliability while improving Graphic’s customer service performance no end. 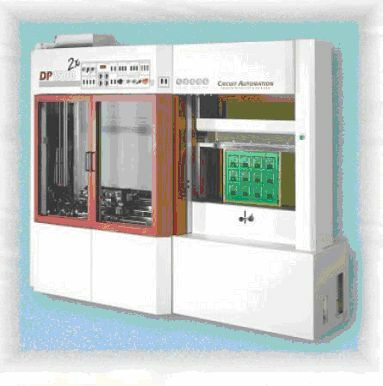 Graphic PLC has been in business with the same ownership for over 45 years, making us rare, if not unique, in the PCB industry. That's because our focus lies where we believe Europe's PCB manufacture has a future: leading edge technology for demanding industries such as defense and aerospace, as well as some pretty sophisticated products for the medical and advanced industrial sectors. Our chosen marketplaces demand absolute reliability from us, in advanced technologies such as flex and flex-rigid circuits, stacked and staggered sequential microvias, copper and resin-filled vias, high CTE structures, carbon core and multi resin filled systems. We also do a lot of work with buried resistance and buried capacitance, and are involved in embedded technologies. We're dealing with quite a range of products at the very high end, in volumes that range from prototype one-offs, to thousand-strong series, for customers in the UK and across Europe, in South Africa, Australia, and the USA. Through our China-based JV with Somacis, we are even supplying high-end products from and to the Far East. Over the years we've made a name for ourselves as one of the world's most technically competent manufacturers in the high technology PCB industry. About 35% of our business is fast-turn work, with leadtimes in the order of 10 days and under. Which means that, right from the customer quoting stage, speed is of the essence for us. That's why we decided to implement a system that would help us with incoming customer data. We are no different from any other PCB manufacturer in that our clients want correct quotes from us ASAP. The problem was that we were quoting for such complex products that it was impossible to capture all the data necessary to create fast, accurate quotes. So we evaluated all the alternatives, and after putting them all through extensive tests, we selected Ucamco's Integr8tor. We had never worked with Ucamco before, so we really put Ucamco and Integr8tor through their paces – given our business, we can't afford to make mistakes. Integr8tor impressed us immensely: for the quality, stability, reliability and accuracy of its results, and for its compatibility with our existing Orbotech systems environment. Key for us was that Integr8tor should be a plug-in package into which we could input the customer's data easily, and see immediately the exact board build. With Integr8tor, we can automatically and fully analyse any data set that is sent to us for quotation. And it's fast. Whereas before a CAM engineer would have to load the data into an individual CAM package, Integr8tor allows us to input the customer's dataset semi-automatically, so by the time we're ready to look at it for quotation, Integr8tor has done the complete analysis. Integr8tor interrogates the data using tens of thousands of Design Rule Checks, identifies the build, and analyses the job for its manufacturability and its price class. Now, we no longer have to look through the dataset on each and every layer, so the time savings are immense. And the payback is excellent – it's saved us at least one engineer in quoting, and now our whole quoting process is managed by the sales department, rather than engineering. One of the strengths of Integr8tor is that it automatically and reliably recognises whether an outcome can be trusted or not. Where incoming client data quality is poor, Integr8tor automatically optimises it and passes it on correctly so that our quotes are accurate. Where this is not possible, we know we can trust Integr8tor to flag problems clearly and accurately in an electronically transferrable format so that we can address them quickly with the client before proceeding. Even on the very rare occasions that it is slow in analysing a job, Integr8tor still gives us invaluable information, by indicating that, either for data quality, or for the complexity of the product, this job will take a long time in CAM too, so we can feed that into our scheduling and customer quoting to give more accurate leadtimes. Our decision to implement Integr8tor was not just about exceptional technology: it was also about people and service. We have had an excellent working relationship for years with André Bodegom of Adeon, Ucamco's representative in the UK, and he was a major influence in our decision to go with Integr8tor. We were equally impressed with the people at Ucamco. Importantly for us, Ucamco has a UK-based Application Engineer, Adam Newington, who fine-tuned the system initially for our specific needs. Ucamco's Engineers in Gent also distinguished themselves with their open, helpful and flexible attitude. Their approach, right from the beginning of the evaluation process, and before we had made our decision, was always “Yes, we can help you”. Our engineers have always had direct access to Ucamco's engineers, and together we were able to write customer-specific scripts that we embedded within Integr8tor so that we can automatically apply our customers' tailored rule sets to their incoming data, improving our performance no end. Ucamco is also helping us to ensure that Integr8tor is well integrated across our business. This will start with our Printed Circuit Professional system from Softwires, as Integr8tor currently processes a lot of data that does not automatically transfer to PCP. We also want to automate the transfer of stackup and all the data supporting board build, so with Ucamco's help, we are putting our entire materials library into Integr8tor, enabling it to define the materials we use, their characteristics and our suppliers. To this end, Ucamco is also working with Polar on a link to Polar's Speedstack. This will enable us to automatically assign materials to the build at an earlier stage and carry out a proper analysis, far earlier than we do now, on what will essentially be the working board. The benefits of this are immense given that materials affect costs significantly. As well as streamlining and improving the interface between Integr8tor and PCP, this will allow us to optimise our business in other areas, for example, by sending the data to purchasing to start pre-ordering the material. Our plan is to integrate Integr8tor further across our business as we see a big advantage in having well-analysed data flowing automatically throughout our business, from as early as the quote stage. This is the first time we have worked with Ucamco, and our experience has been second to none. The product is excellent, does what it says on the tin, and comes with great service from Adeon and Ucamco. 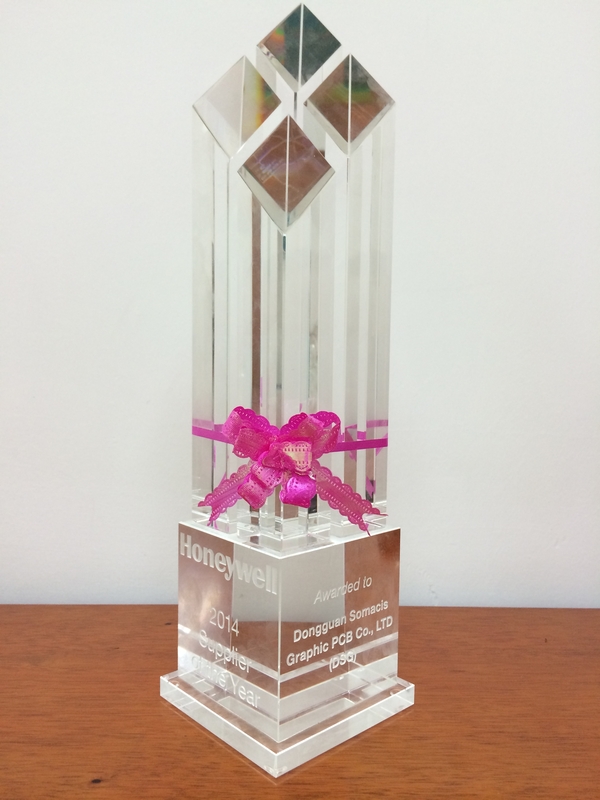 Dongguan Somacis Graphic PCB Co. Ltd. (DSG) has received the 2014 Supplier of the Year Award in recognition of the service and delivery performance at the 2014 Honeywell Aerospace Supplier Summit Electrical Sourcing. Larry Polizzotto, VP Electrical Sourcing, and JIM McQueneey, VP and CPO of Sourcing & Procurement, presented the award to Giovanni Tridenti, CEO of DSG. Honeywell has very stringent performance parameters for supplier measurement, including quality of product, quality of service, delivery standards, and contribution to productivity. DSG has achieved 100% On Time To Request and a perfect delivery performance with 0 ppm defects. The award reflects the outstanding dedication shown by the DSG staff to embed a culture of excellence throughout the company. 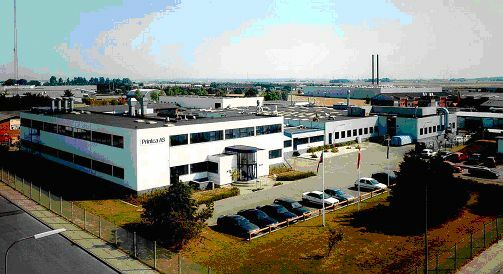 "We are extremely honored to receive this award in recognition of our service and delivery performance, but also as a testimony to the strong partnership we have enjoyed with Honeywell over the years,"
As a result of a fire at our production site, Printca Graphic has regretfully decided to close the Denmark manufacturing facility. With the approvals held it means that the business will face a major challenge to become fully operational within a timescale that would satisfy the needs of our customers. Graphic Group will ensure that customers will be supported throughout the closure by its UK facility. For more information please contact our head office on 0044 1363 774874. Following an evaluation period, Graphic Plc has chosen to fully implement Ucamco's Integr8tor tools for its automatic customer data input and analysis software. Integr8tor creates analysis reports that will be linked to Graphic's quotation system PCP from Softwires Ltd. Another advantage is the automatic creation of a "ready" CAM job that increases consistency to Graphic's data input channel and allows Graphic to highlight any data or DFM issues and to respond to her customers. During the evaluation the "tailoring" of Graphic's special requirements has already started. Included in the Integr8tor project at Graphic is a further development of additional tools that will expand the capabilities over the next few months. Current functionality demands mean that designers and engineers no longer have the luxury of keeping designs simple and sticking with known technology; in fact, increasingly more designers are now among the first to try new technology, and become innovators rather than followers. Applications engineering services help bridge the safest, most cost-effective designs possible with performance requirements. 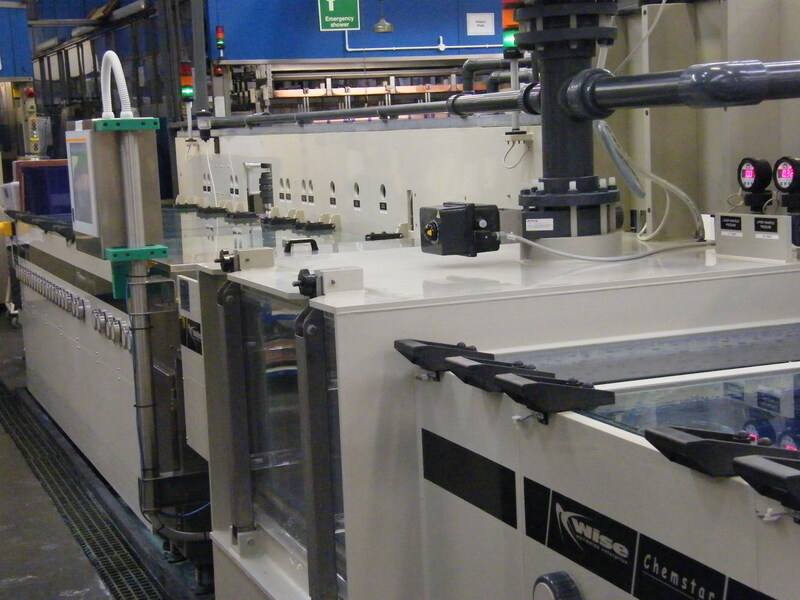 Graphic PLC are pleased to announce the installation and commissioning of an outer layer Strip-Etch line supplied by WISE s.r.l. 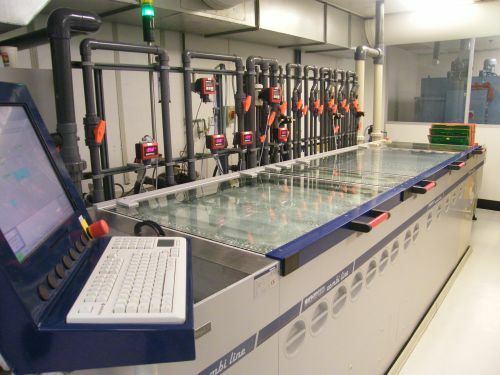 This equipment is used in the production of plated layers where laser defined photoresist is removed in the stripping chamber, to expose the underlying base copper material. This copper layer is subsequently removed in the etch chamber. Capable of processing material from 0.05mm to 6.5mm in thickness, the equipment is specified to process HDI PCBs with 50 micron line and space requirements. Equipped with the latest process control automation with full SPC data logging and monitoring, benefits in production throughput, environmental control and more importantly, improved capability and consistency of quality have been realised. Graphic Plc, the original PCB manufacturer established in the UK for 45 years with links to the Inventor Dr. Paul Eisler acquires the assets of California based Calflex, the Flex PCB specialist with 30 years experience in supplying the military, aerospace and medical industries. The Graphic Group now has a real world presence of PCB manufacturing with specialist IMS plants in UK, USA, Europe and Asia. Graphic UK was awarded with 12 accolades last year with Manufacturer of the Year, Quality and Delivery Performance of the Year and is a Preferred Supplier of PCB's to many Military and Aerospace Manufacturers to include BAE, Raytheon, General Dynamics, STI and other Blue Chip OEM's. Rex Rozario, OBE, The President and Chairman of Graphic was awarded Entrepreneur of the Year 2012 and the Lifetime Achievement Award for Services to the Electronics Industry. Graphic has been a member of IPC for over 25 years and Rex Rozario is a member of the IPC Board of Directors. Graphic manufactures all aspects of Printed Circuits, specialising in Higher Layer Count Rigid-Flex with HDI Technologies and are proud to hold more Manufacturing Approvals than any of their world competitors. Approvals include: ESA (European Space Agency), AS 9100, SC 21, Nadcap, Itar, Mil-PRF-31032, UL 796, ISO/TS16949, ISO 9001/14001 OHSAS, BS EN 9100, IECQ and many others. 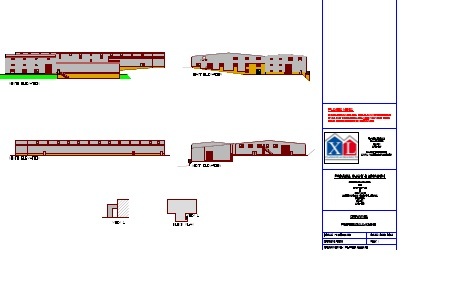 Graphic is without doubt the natural choice one stop shop for all approved PCB requirements from a one off prototype to pre-production quantities and large volume production of Higher layer count PCB's. 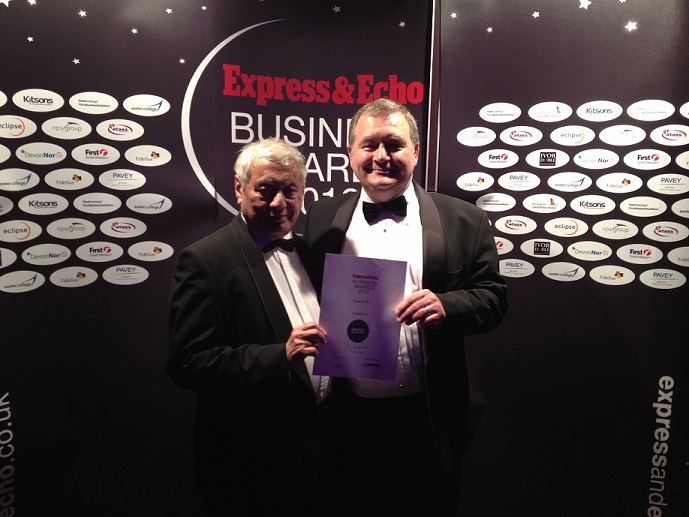 Graphic Plc were awarded runner up at the annual Exeter Business Awards in the Innovation category. Graphic Plc is the first bare board PCB manufacturer in the UK to develop embedding Radio Frequency Identification (RFID) chips, into High Density Interconnect PCBs. This technology will enable the remote identification and authentication of individual PCBs manufactured in the facility, enabling efficiency enhancements in production management, thereby reducing cost, and improvement in customer service. The award was collected by David Pike, Managing Director and Rex Rozario OBE, Executive Chairman at the awards ceremony held at the University of Exeter. Graphic will be returning to Nürnberg, Germany in April to exhibit at the SMT trade show. The event that takes place between the 16th and 18th April will be a perfect opportunity for the company to increase it's ever growing European network. We look forward to welcoming you on our stand 433 in Hall 9. 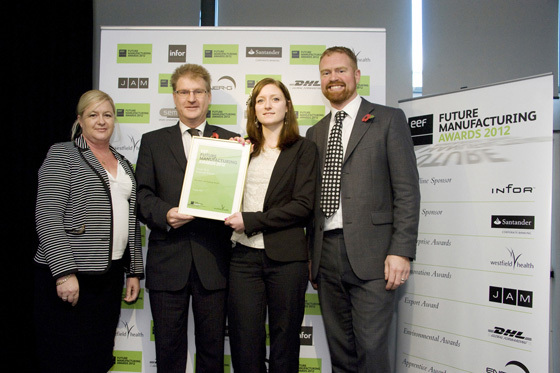 Specialist PCB manufacturer Graphic plc has been named winner of the EEF South West region Skills and Training award, for creating a fully functional approach to developing the skills of the business, enabling greater consistency and service delivery. Graphic PLC will be exhibiting at the upcoming Electronica 2012 trade show in Munich, Germany. The event which runs from 13th to 16th November 2012, will be an ideal platform to meet our ever-growing European sales network. Come visit us in hall B1 on stand 432. We look forward to seeing you. Graphic Plc, the multi-award winning UK based PCB manufacturer acquired 100% of the shares of Printca Denmark A/S on the 29th August 2012. This acquisition will reinforce the position of Graphic Plc as a global leader in manufacturing complex advanced technology PCBs in the high reliability segment of defence, aerospace, medical, industrial, telecommunications and other special markets. Graphic now holds more manufacturing world approvals for its products than any other competitor. Graphic has over 44 years’ experience in manufacturing high reliability PCBs with global manufacturing facilities in UK, China and Denmark. With over 600 employees and revenues in excess of $45 million, Graphic is capable of providing every aspect of time critical PCBs to its global customer base. ‘I am convinced that Graphic is an excellent match for us, and with their high end technology expertise and financial strength we will be able to bring further benefits to our customer base. Being selected by Graphic is a compliment to our employees for their dedication and commitment to our global customer base over many years. Our entire organisation looks forward to growing our business as part of the Graphic Group’ said Jan Nielsen, CEO of Printca Denmark. ‘I am extremely happy for this step in Graphic's development. Graphic and Printca have the same business ethics and a customer driven perspective. With their highly specialised space approvals we will have a full range product programme that can support even the most extreme needs in our customer base. We can add a successful proven business record and the long term commitment needed, to develop the Printca business successfully in the coming years’ said Rex Rozario,O.B.E, Executive Chairman of Graphic Plc. 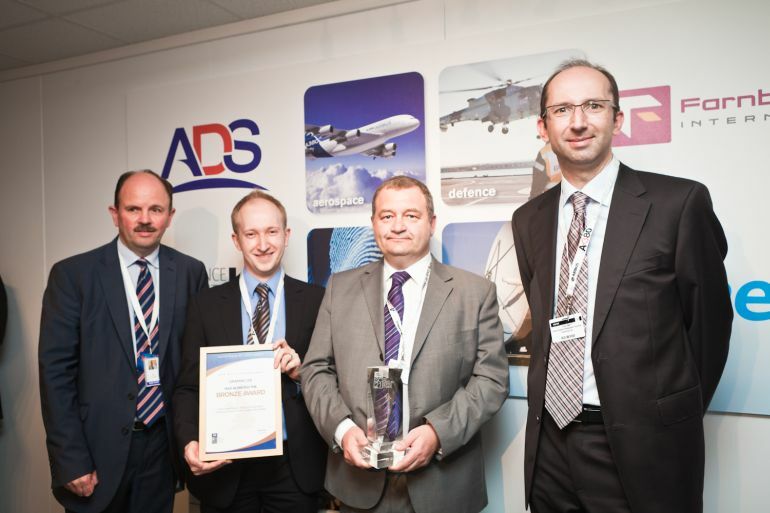 Specialist PCB manufacturer Graphic PLC has received the prestigious SC21 Bronze Award at an event hosted by ADS at the Farnborough Air Show on Thursday 12th July 2012. The Supply Chain 21st Century (SC21) is a nationally recognised change programme designed to accelerate the competitiveness of the aerospace and defence industry by raising supply chain performance. SC21 has become the benchmark for supply chain excellence, evaluating current business practices against rigorous international standards for Business (EFQM) and Manufacturing (Lean) Excellence, which highlights a company’s ongoing commitment to delivering quality and continuous improvement to its customer base. Achieving the award signifies that Graphic is able to deliver a service at the top of its game in terms of quality and delivery. Graphic has demonstrated consistent on time delivery performance and right first time (quality) performance of greater than 98%. (l to r): Phil Curnock (Project Manager for SC21, ADS), Henry Norton (Business Systems Improvement Manager, Graphic PLC), David Pike (Managing Director, Graphic PLC), and Andy Page (Global Supply Executive Director, Rolls Royce). 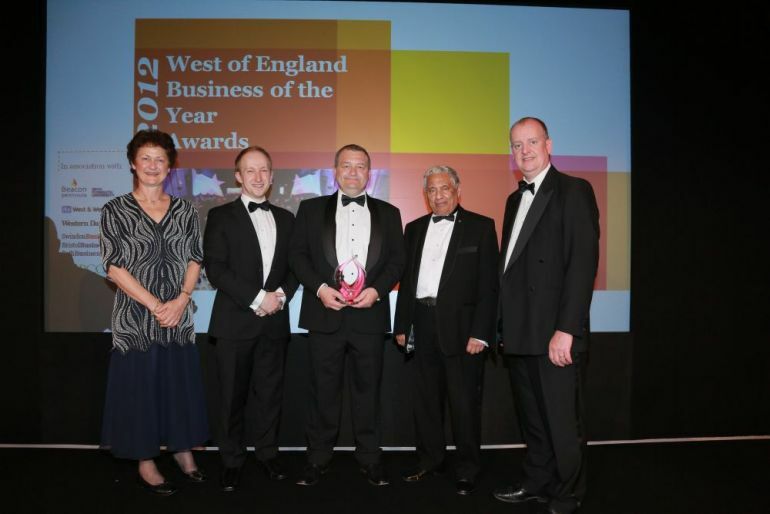 Devon based specialist printed circuit board (PCB) manufacturer Graphic PLC is proud to announce that it has won the prestigious West of England Business of the Year Award for 2012. Graphic PLC has grown substantially over the past 4 years by serving the specific needs of high-end electronics manufacturers from the aerospace, broadcast, medical and specialised automotive markets, resulting in significant gains in quality, delivery and financial performance. Success has been generated from a continued focus on business excellence and developing leading edge PCB technology. Graphic has continuously invested and developed new product innovations through close partnerships with its customers, suppliers and academic institutions, and deployed a clear strategy for training and development of its people. Left to right: Tracey Bentham (PwC Partner and chair of judges), Henry Norton (Graphic Business Systems Improvement Manager), David Pike (Graphic Managing Director), Rex Rozario (Graphic Executive Chairman), Rob Lewis (PwC Regional Chairman). Graphic hits ‘jackpot’ with three Customer awards. 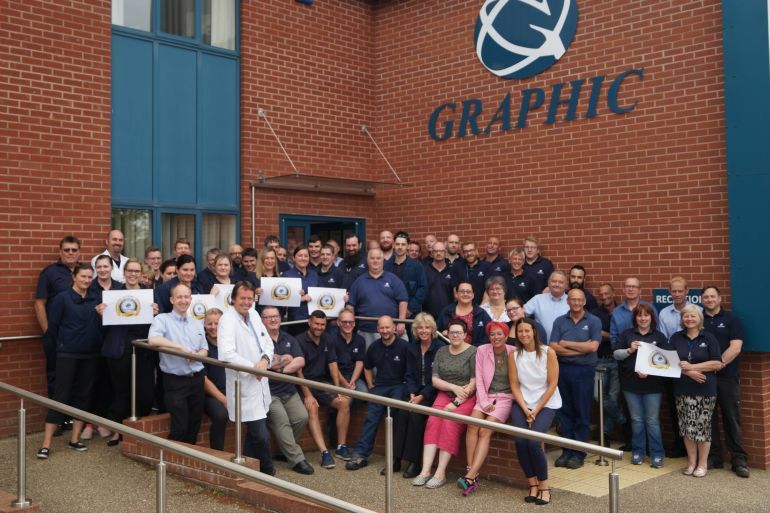 Europe’s leading Printed Circuit Board technology specialist Graphic PLC based in Devon UK has won three major performance related awards from ‘Blue Chip’ Customers in the last 3 months. The hat-trick of awards comprises a Bronze and Silver performance award and ‘Supplier of the Year Award’. These are recognition of Graphic’s ability to perform at the highest level and to meet its customers’ expectations. Trevor Sanders - Sales and Marketing Director - received the awards on behalf of the company and commented: ‘The company was driven to perform at the highest level on time critical deliveries, zero defect quality expectations and leading edge technology with world class Customer Service. It was a reward for Graphic’s employees’ dedication and expertise’. Graphic will be exhibiting at the upcoming MD&M medical trade show in Philadelphia from 21st to 24th May 2012. Being already heavily involved in sophisticated implantable devices such as DBM (Deep Brain Stimulation), the company will look to grow it's presence in the medical industry. Furthermore, it will give Graphic yet further exposure in the US market. Please visit us on stand 700a. We look forward to seeing you. Graphic PLC will again be exhibiting at the National Electronics Week show in Johannesburg. The exhibition, which runs from 13th to 14th March 2012, will be an ideal opportunity for Graphic to highlight new technologies such as RFID (Radio-Frequency Identification). Come visit us on Stand I3. Graphic will be exhibiting at the Southern Manufacturing & Electronics Exhibition 2012 at FIVE, Farnborough, Hampshire, UK on February 15th and 16th. Please contact the Sales department for more details. Graphic PLC has recently completed the installation and commissioning of a new Soldermask Developer line purchased from Schmid GmbH. 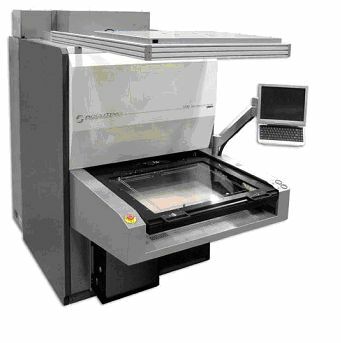 Fitted with the latest in automation, including dual dosing systems, automatic cleaning and re-filling cycles and the monitoring and recording of many processing parameters, this installation further enhances the capability of Graphic to produce high-resolution soldermask features with improved process control and traceability. Significant environmental improvements have also been achieved with the elimination of the need for antifoam and recycling of rinse water. This installation concludes the enhancement to the soldermask process following the installation of double-sided screen printing, tack-drying and camera aligned collimated exposure equipment in 2011. DSG are proud to announce they have achieved the High-Tech Enterprise Certification. This achievement shows DSG's commitment to technology development and manufacturing excellence. GRAPHIC PLC manufactures highly complex printed circuit boards at its site in Devon and has performed a successful transition from revision B to revision C of AS9100 with no non-conformities. Graphic PLC’s customers require high reliability PCB’s. Third Party assessed systems such as AS9100, NADCAP and MIL-PRF-31032 go a long way to ensuring quality products of the highest order. ‘Graphic PLC has always focused on customer satisfaction’ said Quality Manager Fran Blackman. ‘The primary differences between Rev C and the old Rev B are risk management and process effectiveness measurement’. Graphic PLC has been in business for 43 years and remains the leading UK based specialist PCB electronics interconnect manufacturer. Just a short thank you for all those customers who took time to fill out this year's Customer Survey. We were delighted with the response and also the positive feedback which we received. This is a big opportunity for us to get both 'positive' and 'negative' feedback from our key customers; this then provides the opportunity to make improvements within our business. Graphic will be exhibiting at the IPCA (Indian Printed Circuit Association) Expo in Bangalore between 3rd and 5th August 2011. Having appointed an Indian agent at the start of the year, it will be an ideal opportunity for the company to showcase new technologies at the event. This is part of Graphic's strategy to promote their HDI facilities in both the UK and China. Graphic plc are pleased to announce they have received a special 'suppler recognition award' from BAE systems. The award recognizes Graphic's on time Delivery, Quality and Support performance for the past 12 months to BAE Systems. This is the third such award received from Graphic's major OEM customers in the past 6 months and shows their commitment to world class manufacturing performance at the highest level. Graphic plc is involved with the SC21 program and has achieved AS9100 and NADCAP amongst other International Business Quality awards. In line with the Graphic policy of continuous improvement, a quality objective for Graphic in 2010 was to improve all aspects of the solder mask process - including quality, efficiency and delivery. This resulted in a project that involved re-building the solder mask processing area and installing new application, drying and exposure equipment. During the Christmas shut down, Graphic Plc was busy totally rebuilding its soldermask application and imaging department to the class 1000 cleanroom standard. Installed as an alternative application method to the previous air spray, the DP1500-2X is an innovative and efficient system for coating double-sided solder mask. It can handle tasks impossible to achieve using conventional equipment and offers a much higher level of control and versatility for a variety of panel sizes, thicknesses and coating requirements. This improves drying which in turn assists in improving the cosmetic appearance and resolution of the cured ink deposit. Olec Accutray ATH30-800-CL Hybrid Collimation Exposure System with 4 camera alignment. This improves the registration of the soldermask image and assists with resolution / cosmetic appearance. The soldermask ink used will remain as Electra EMP 110. David Pike the Managing Director said, “The new clean room and soldermask equipment will enable us to further improve our already high standard of product with improved registration, finer geometries and enhanced cosmetics”. Graphic has installed a Clare H101 Hi-Pot Tester. 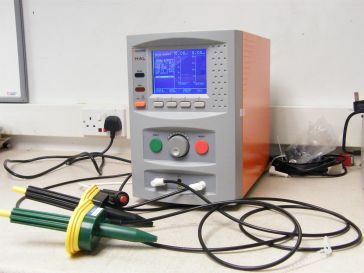 This will enable insulation tests to be performed at up to 5kV AC and 6kV DC. PCBs for use in high voltage applications will benefit from this test capability and dielectric breakdown testing of thin dielectrics is now possible. Graphic plc, the leading UK based specialist PCB Electronics Interconnect Manufacturer with 42 years in the business, adds NADCAP to its supreme portfolio of manufacturing approvals. Graphic maintains preferred supplier category ONE for most leading QEM’s and ESM’s worldwide for PCB’s used in formula one to Eurofighter Typhoon. Graphic’s high technology PCB’s are also available from its 50% joint venture advanced technology manufacturing facility Dongguan Somacis Graphic PCB Co Ltd based in Dongguan, China which also carries manufacturing approvals to ISO 90001, ISO 140001, ISO / TS 16949, UL, AS 9100 and NADCAP imminent. Graphic is a one source approved manufacturer of all available types of PCB’s from quick turnaround to scheduled volume production to the world. Graphic are members of IPC, Intellect, ECCA, EIPC, CBI, The Air League and Associate of the UK Parliamentary Aerospace Group. Graphic also owns 50% of Somacis Graphic in Dongguan, China where 60% of its complex high technology PCB’s are shipped within China and the other 40% throughout the world. 70% of its UK turnover is military and aerospace and the rest is for special applications from Formula One to Medical and Marine products. In the third quarter turnover increased by 15%; in the last quarter turnover was up by 15.6% compared to the previous year. Production in the Chinese facility commenced in 2008 at the height of the worst recession in known times but has progressively gathered momentum and is now showing exceptional growth.